Please check out our Facebook Page or call 325-365-2454. 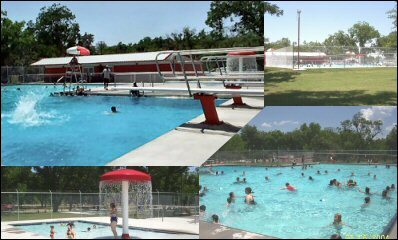 Ballinger constructed a modern pool which opened in the summer of 2003. The facility is one of the nicest pools found in any community. Ballinger is very proud of the assets for the recreation of it’s citizens and visitors. A “kiddie” pool is also located on the premises. The pools are located in the beautiful, clean and well maintained CityPark, located on the banks of Elm Creek. 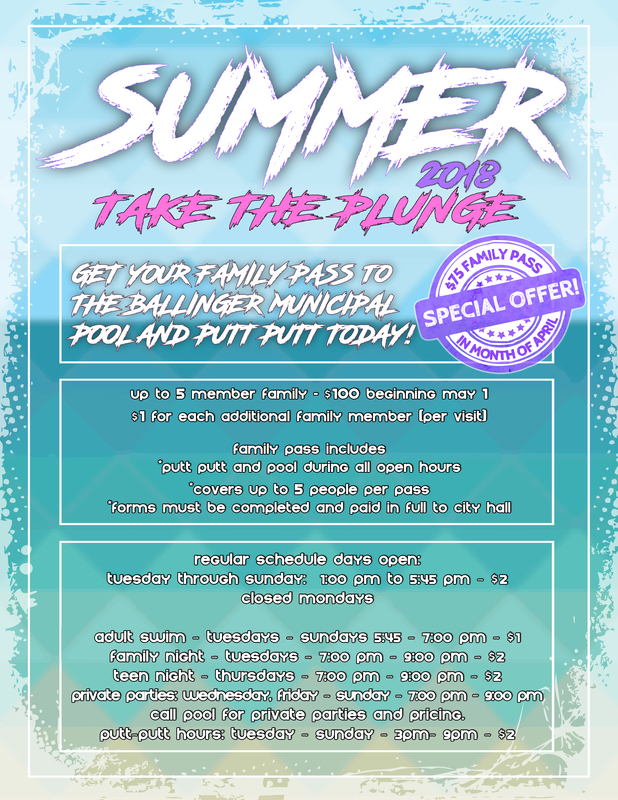 Contact the pool manager for reservation information.